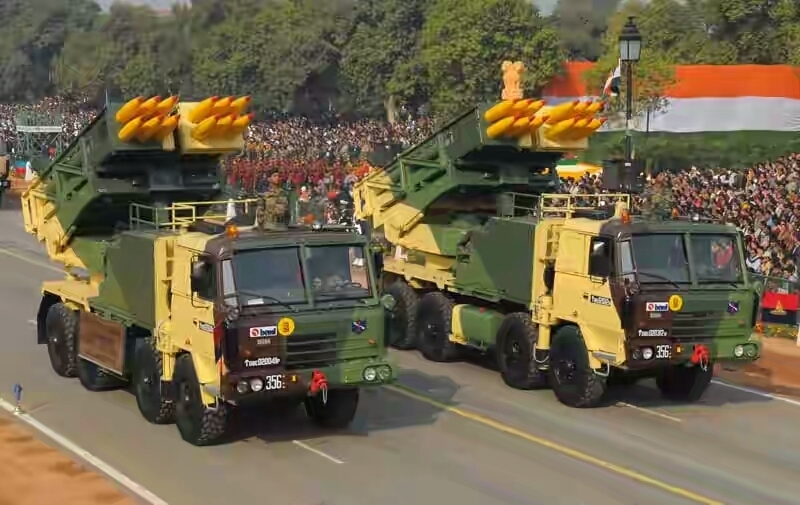 The Pinaka MBRLS (multiple barrel rocket launch system) is produced in India by the Defence Research and Development Organisation (DRDO) for the Indian Army. 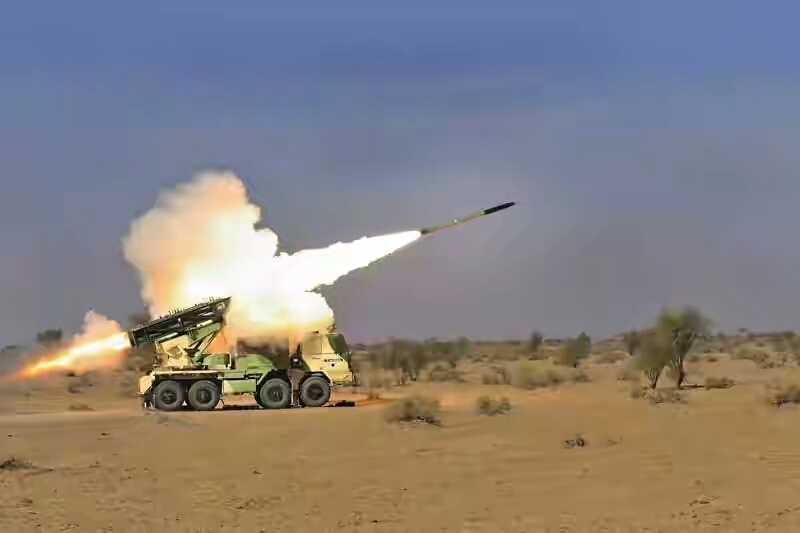 Combat proven in the cold and high altitude regions during the Kargil conflict in 1999, Pinaka can fire up to 12 missiles/rockets in 44 seconds with a reload time as short as 4 minutes. A single launch system fitted on an 8×8 Tatra truck is loaded with 12 rockets which have a maximum range between 40 km-65 km. Pinaka makes use of the very advanced inertial navigation system (INS) which uses a computer, motion sensors and rotation sensors to calculate the position, orientation, and direction of a moving object. Pinaka is capable of working in different modes namely autonomous mode, stand-alone mode, remote mode and manual mode. DRDO is also working on fitting GPS guidance systems on the rockets, and developing missiles with a baffling range of as much as 120kms. What’s surprising is the fact that Pinaka is approximately 10 times cheaper than its American peer, the M270. Bhishma is the Indian name for the Russian-made T-90s tanks. 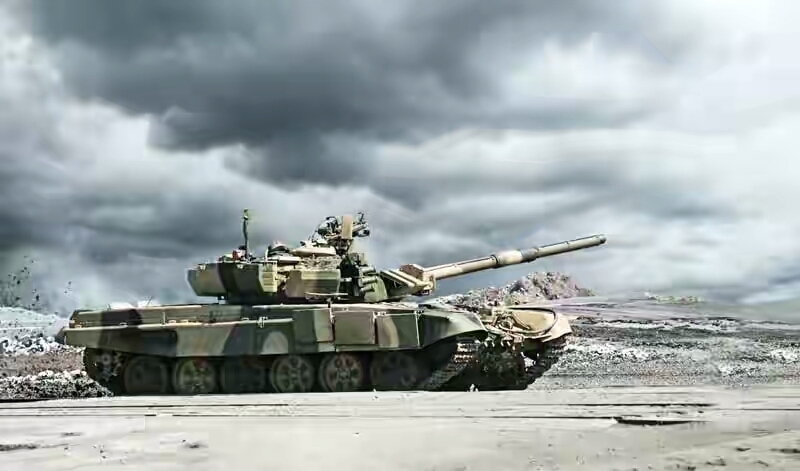 An amalgam of T-80U and T-72B, the T-90S have superior fire control system and mobility. These tanks can be used for over three decades with little or no mid-life improvement. The tanks are fitted with the most advanced jamming systems, laser warning receivers, day and night sighting system and 125mm 2A46M smoothbore gun with thermal capabilities. A Bhishma tank, manned by a crew of three, weighs 48,000 kilos and can cross water obstacles as deep as 5 meters and carry 1600 liters of fuel (diesel) under its virtually impenetrable armor. Apart from its 125mm 2A46M smoothbore gun, the 12.7 mm machine gun mounted on the turret can be operated both manually and remotely. 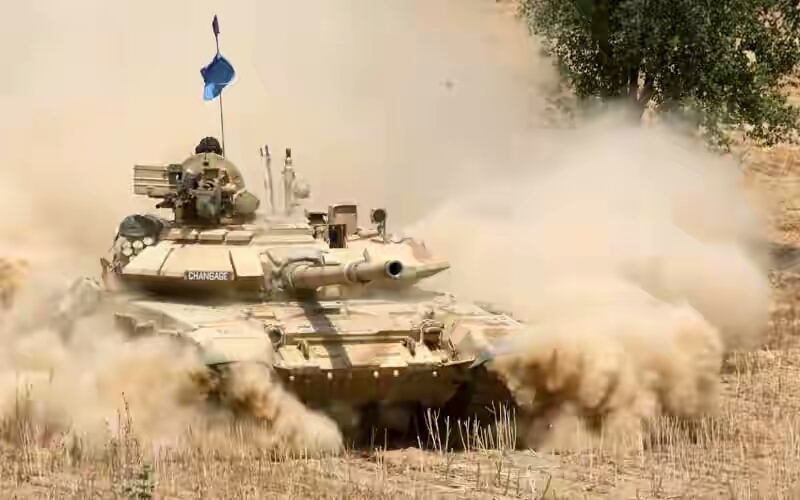 Seven hundred of these were purchased from Russia, and once another 347 (to be built in India) join in, India will have the largest force of modernized tanks in South Asia. By far the biggest and the most expensive aircraft carrier in the Indian Navy, this 45,000-kilo sea monster can carry up to 24 MiG-29K fighters and 6 ASW/AEW helicopters. INS Vikramaditya is fitted with sensor suites that keep it from being tracked by airborne radar systems. 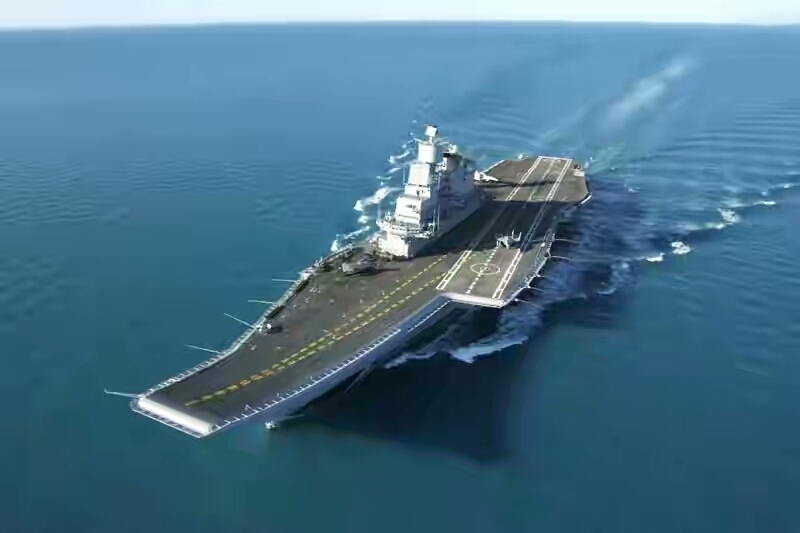 It was bought from Russia on 20 January 2004 at price of $2.35 billion, and on 14 June 2014, Prime Minister Narendra Modi formally inducted INS Vikramaditya into the Indian Navy. Over 70 percent of the ship has been refurbished and its life expectancy is over 40 years. 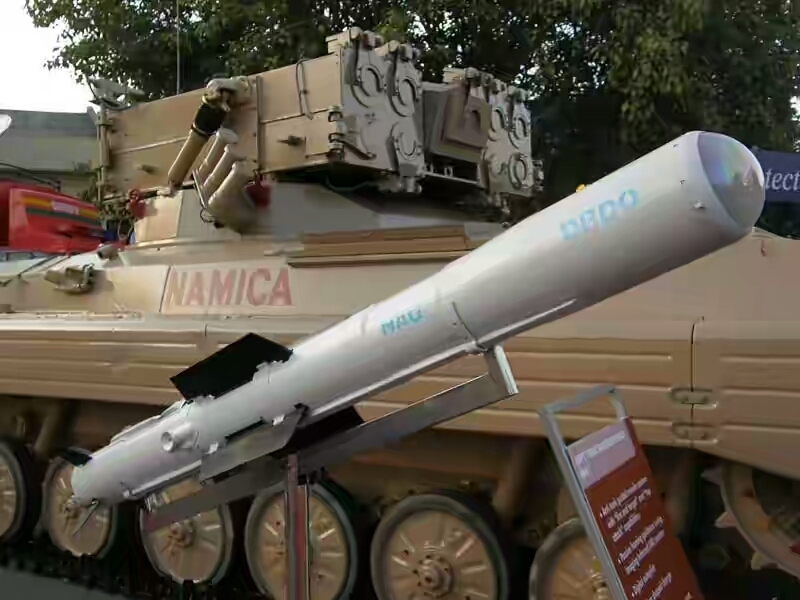 Developed at a cost of 3 billion rupees, NAG is a “fire-and-forget” anti-tank missile developed in India by the DRDO. Often reckoned as world’s only anti-tank missile which has a complete fiberglass structure, NAG weighs 42 kg, and can engage targets at ranges 4–5 km at a flight speed of 230 metres per second using infrared imaging system. 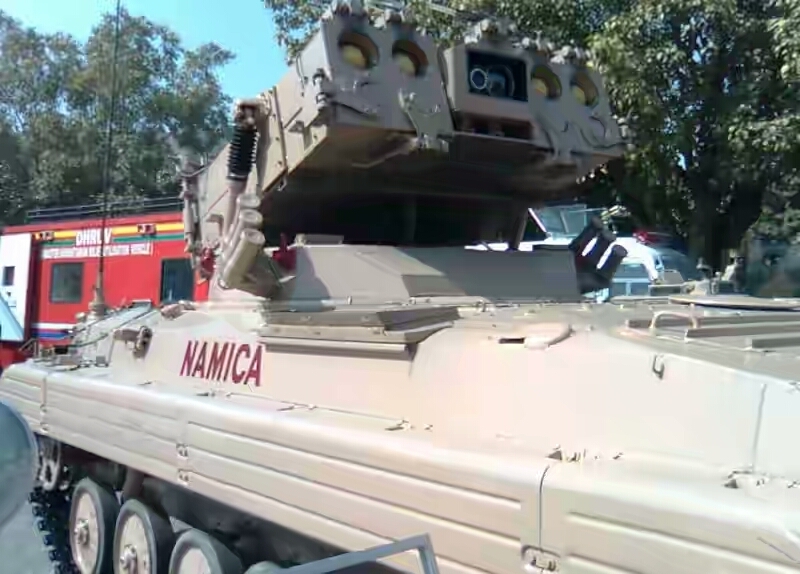 NAMICA is the NAG missile carrier which is capable of carrying 12 missiles with 8 of them in ready-to-fire mode. NAMICA’s amphibious capabilities allow it to conquer almost any water body. AWACS stands for Airborne Early Warning and Control System used to detect aircraft, ships and vehicles at long ranges. 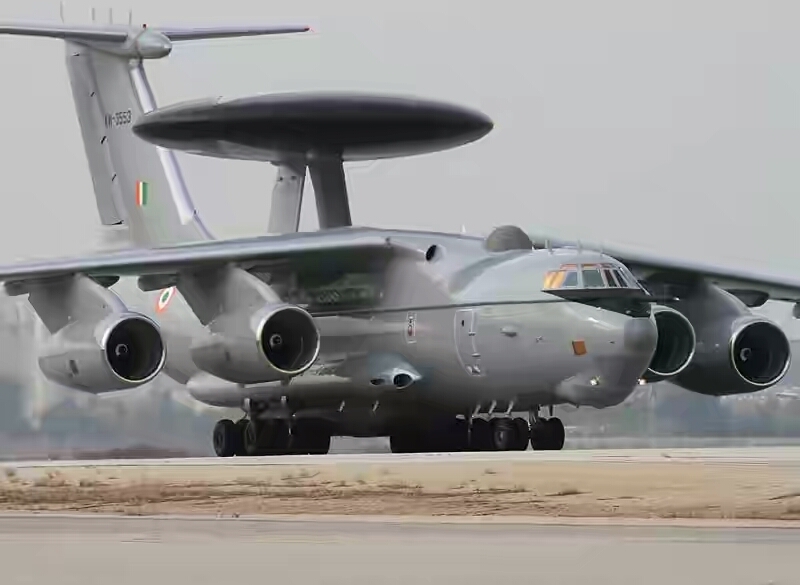 The Indian Air Force has one of the most advanced AWACS in the world. 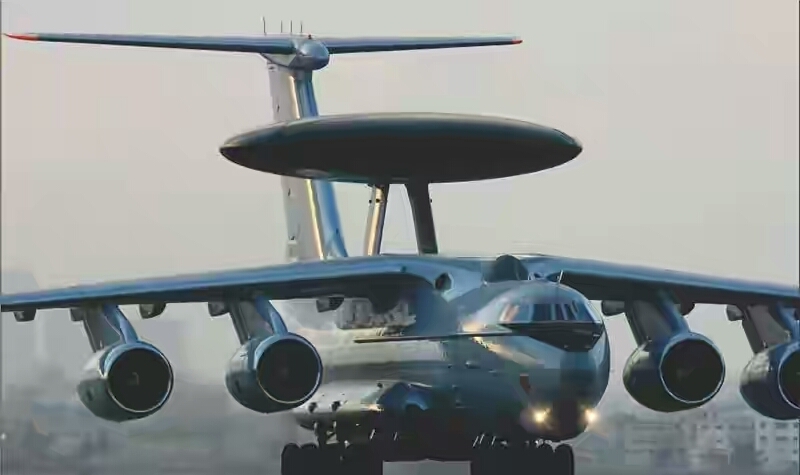 Three in active service, the A-50 Phalcon AWACS consists of Israeli Elta EL/W-2090 radar mounted on a Russian Il-76 aircraft. The 360-degree-active electronically-scanning array radar is stationary while its beams are electronically controlled. The AWACS act as control centers guiding fighter-interceptors and tactical air force in battle areas, and can detect targets up to 400 kilometers away. They are fitted with aerial refueling systems and electronic warfare equipment as well. The AWACS are believed to be 10 times faster than well-known systems like the E-3 Sentry. 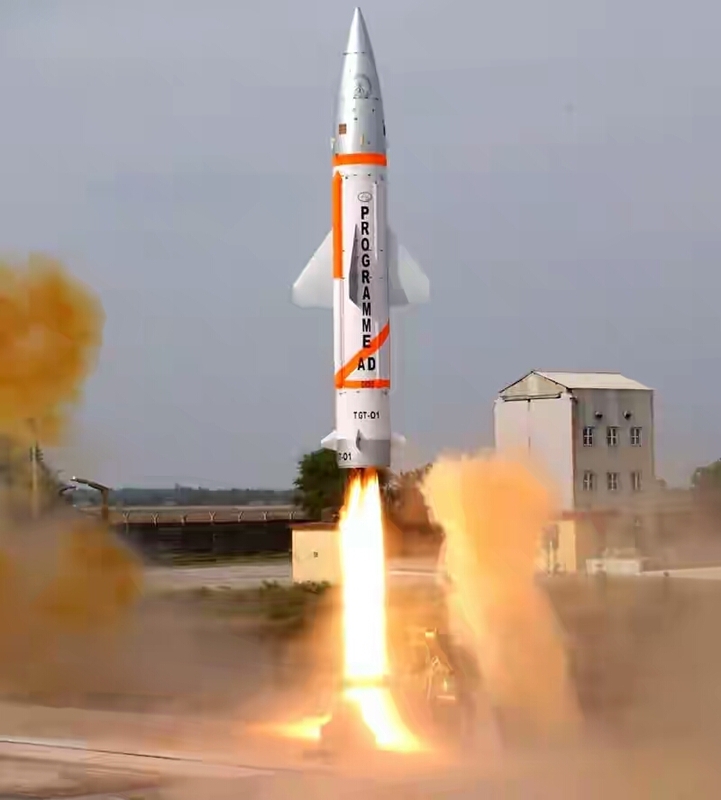 Sensing ballistic missile threat from Pakistan and China, India launched the BMD Defense system. A ballistic missile is a shot-range missile guided during very brief periods of flight, and can fall almost anywhere since its flight is governed by gravity. BMD system can take down any ballistic missile launched from 5,000 kilometres away. 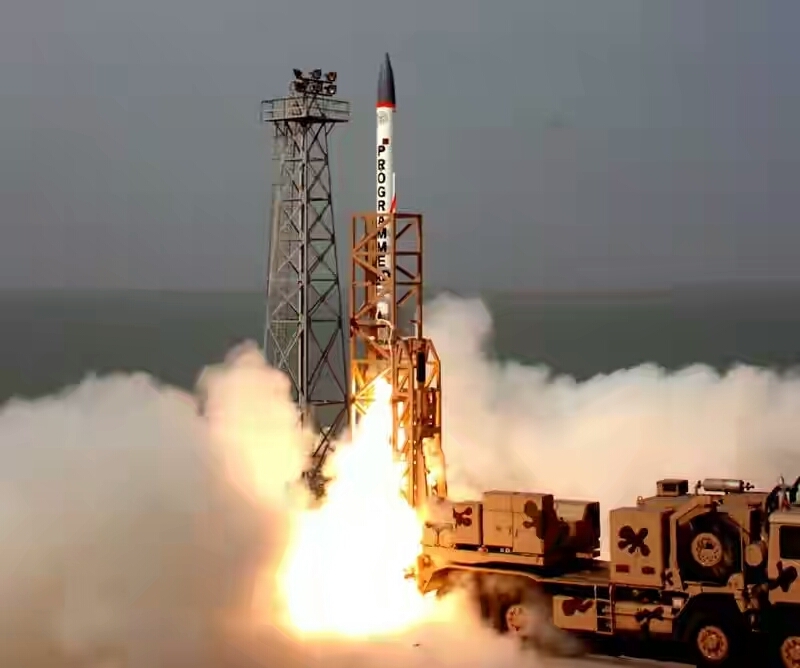 BMD consists of 2 interceptor missiles, namely the Prithvi Air Defence (PAD) missile for high altitude interception, and the Advanced Air Defence (AAD) Missile for lower altitude interception. PAD can take down 300 to 2,000 km (190 to 1,240 mi) class of ballistic missiles at a speed of Mach 5. India is the fourth country in the world to successfully deploy ballistic missile defense system. If put to use at the same time, PAD and ADD can achieve up to 99.8 percent take-down accuracy. 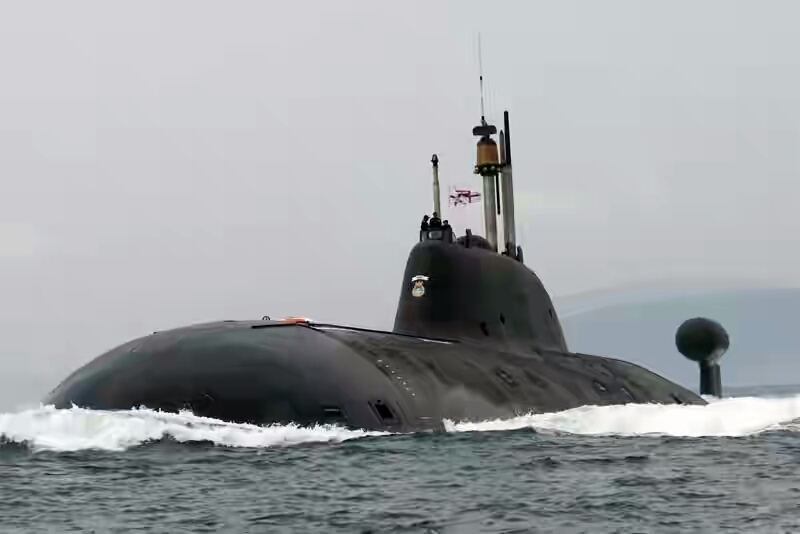 Christened as INS Chakra, the real name of this submarine is Nerpa (Russian-made). Chakra is the only Indian ‘nuclear war head’-carrying submarine which can remain underwater for as long as humans want it to. Other conventional submarines have to surface as frequently as almost every day. Chakra has 36 torpedoes and Klub anti-ship missiles, possesses almost zero noise levels, and can accommodate 80 personnel. India invested over $900 million in the development of Chakra in return of which Russia leased it to Indian Navy for 10 years. US, Russia, UK, France and China are the only other nations with nuclear-powered submarine. 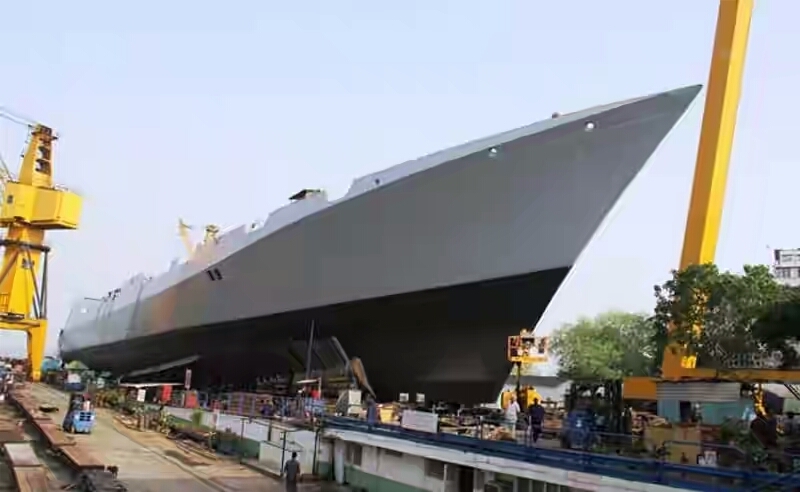 On 20th April, the Indian Navy launched its latest and by far the most powerful and advanced stealth destroyer ship called the INS Visakhapatnam. Once christened as an Indian Naval Ship in July 2018, INS Visakhapatnam will be the most advanced Indian destroyer warship to sail the battle waters. The 163-meter-long and 7,300-tonne-heavy devourer will have eight supersonic BrahMos anti-ship missiles, 32 Barak-8 Long Range Surface to Air Missiles, Multi Function Surveillance Threat Alert Radar System and twin tube torpedo and rocket launchers. 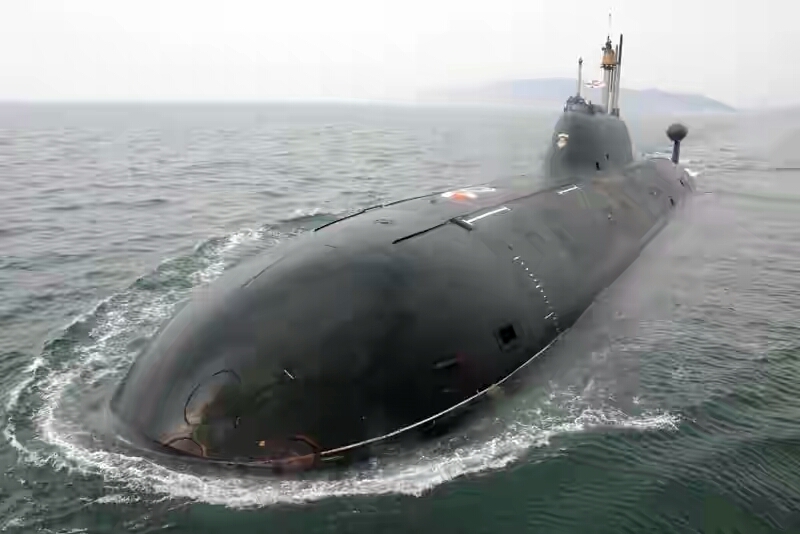 Apart from this, it will also be the only Indian warship with ‘Total Atmosphere Control System’ which will enable the crew onboard to function without any life support system in regions of nuclear, chemical or biological fall out. The SU-30MKI sits at the pinnacle of Indian military’s air superiority which, without this fighter jet, depends on the aged 4th-gen fighters. Simply put, a single plane is equivalent to 2 MiG-29 and 2 Jaguar combined. 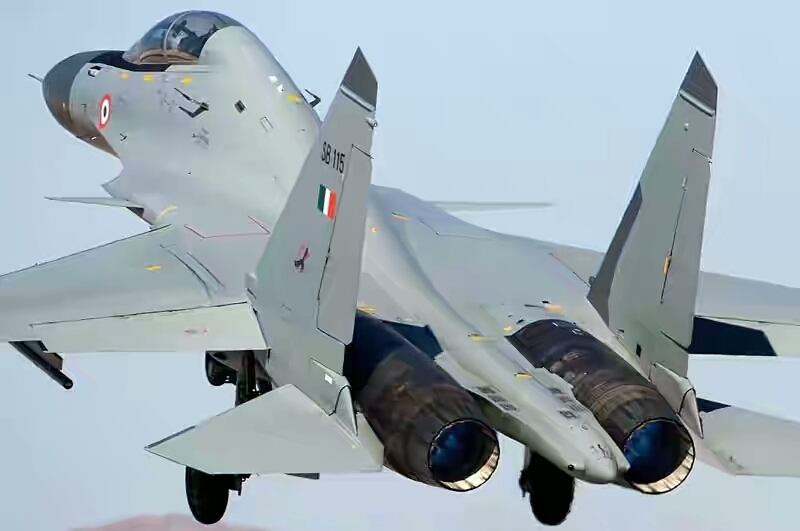 Costing Rs 358 Crore a unit, the Sukhoi Su-30MKI is a super-maneuverable twinjet air superiority fighter developed by India’s Hindustan Aeronautics Limited (HAL). Developed from the SU-30MK, the ‘I’ here stands for India after it was modified to fit Indian war needs by French, Israeli and Indian avionics in collaboration with an aim to create the ultimate Su-30 variant for India. It can load up to 8 tons of weapons, and soon it will be getting fitted with BrahMos and Nirbhay cruise missiles. 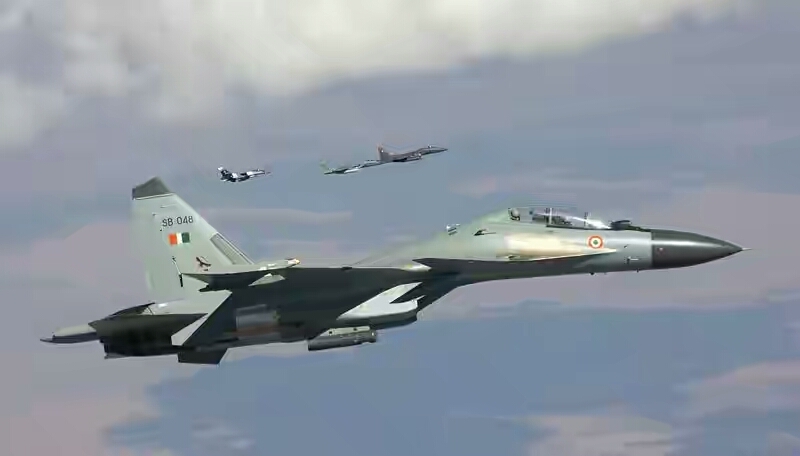 With 314 aircrafts on order, India is the largest Su-30 operator in the world. The world’s fastest cruise missile in operation, Brahmos travels at speeds of Mach 2.8 to 3.0. With the inclusion of its air-launched variant (expected in 2017), India will be the only country with supersonic cruise missiles in their army, navy, and air force. 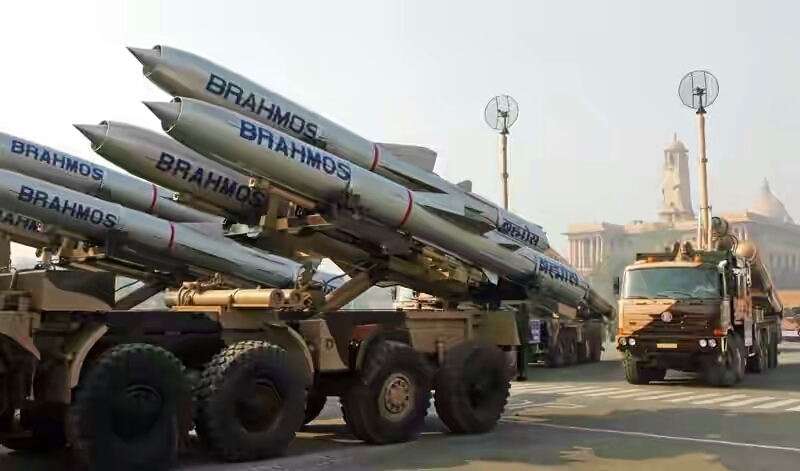 Compared to other missiles of the same category, BRAHMOS has 3 times more velocity, 3 times more flight range, 4 times more seeker range and 9 times more kinetic range. The current production rate is said to be 100 missiles per year. Also, the missile guarantees pin-point accuracy with hypersonic speed throughout the flight. 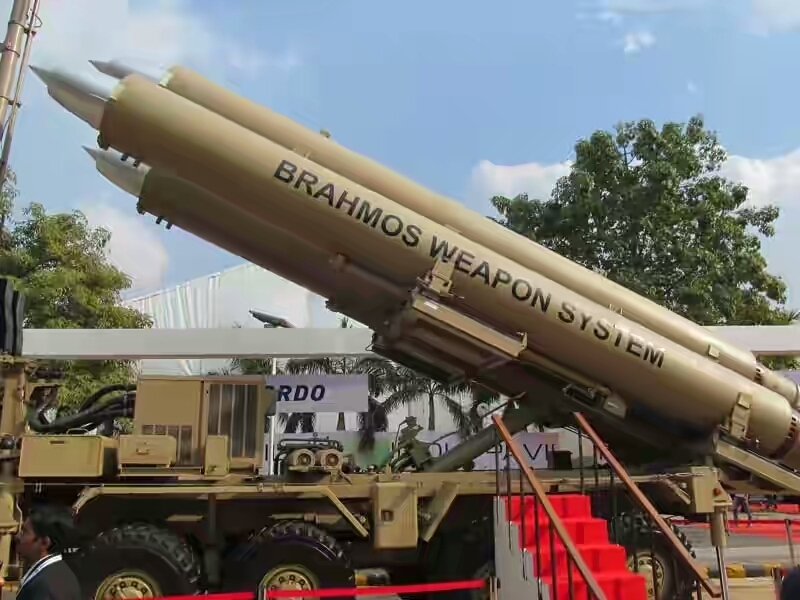 The whole Brahmos project is expected to cost US$13 billion.